I am entering this card into the ‘I (Heart) Card Sketches With A Twist’ Challenge Sketch 115. 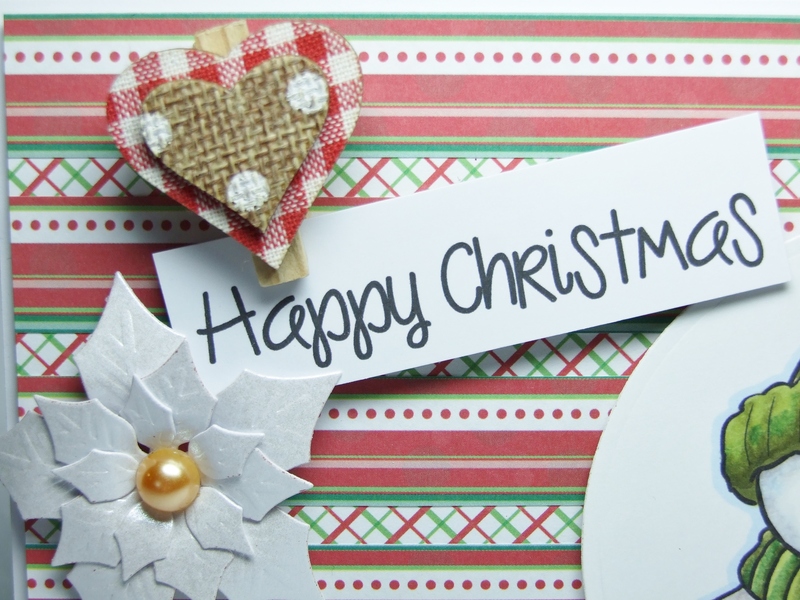 To make this card I also used: Spellbinders circle and Poinsettia dies, and papers from The Christmas Multi Stack – DCWV. < Previous Spectrum Aqua Markers… My first cards! Sweet! This is in my cart – I just have to check out 🙂 You know FTHS is having a DT call – you should consider trying out!! Hi Lyn, thanks for your kind words – I have submitted a card for the DT team 🙂 Fingers crossed! 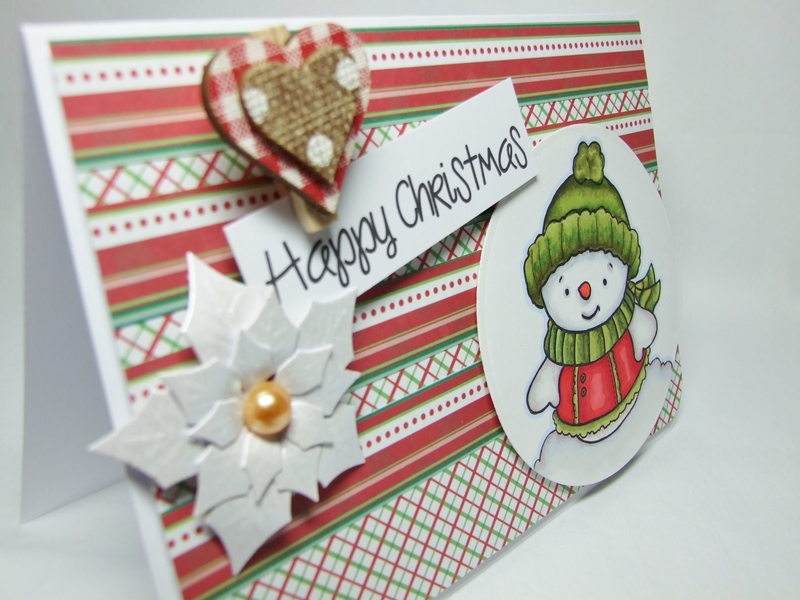 Your Christmas card with snowman is just darling! Love the hearts and pretty poinsettia, too! this guy is so sweet! Love your holiday card! Super sweet card and great coloring. It´s a very pretty christmas card. 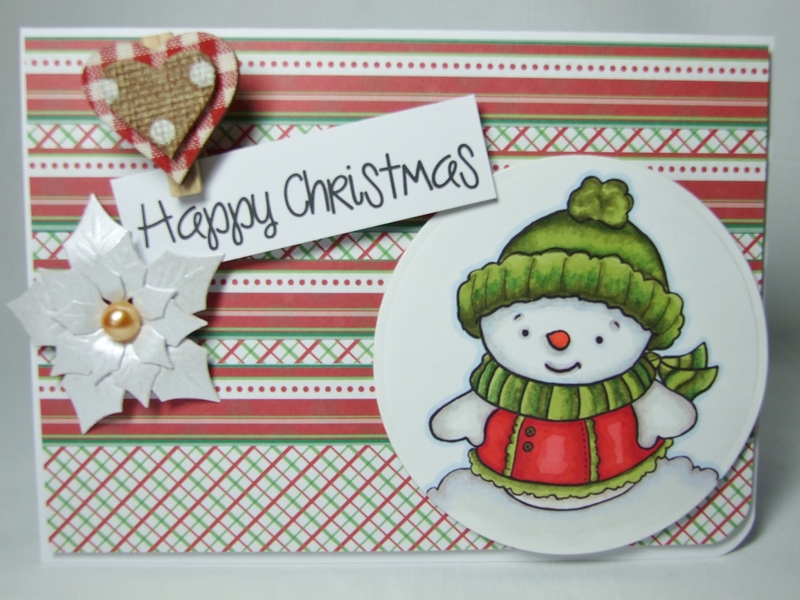 Thanks for joining our Sketch Challenge with a tWiSt# 115 @ From the Heart Stamps. Please remember next time to add our Sketch in your blog post. THANKS !! And YES, it would ge great if you enter the DT. Go for it !!! Love this, Karen! What an adorable card, and yes, it could be a boy or girl. Love the added elements & dimension too. Happy that you applied for the DT, good luck! Adorable card! 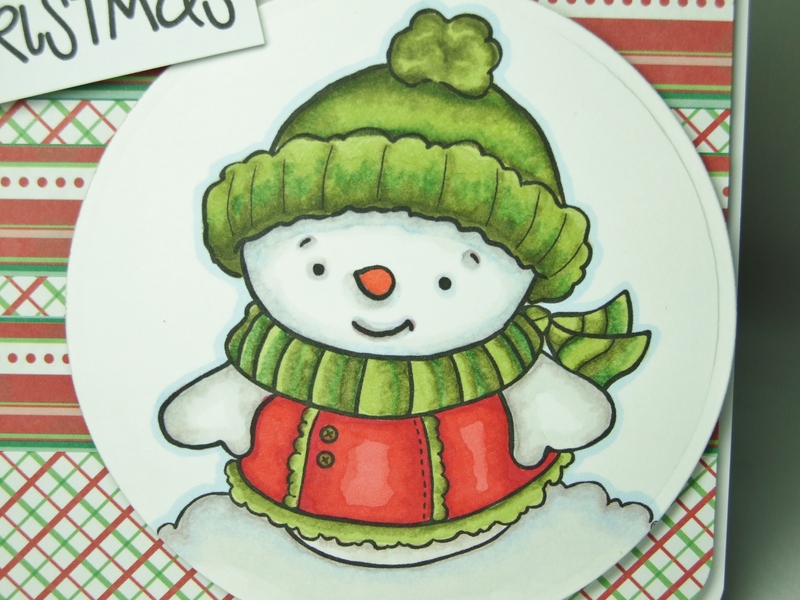 Love the sweet snowman and your fabulous coloring! This is very sweet. Your coloring looks awesome and love your patterned paper. Thanks for playing along with us at FTHS! Adorable!! LOVE everything about this!